KUAC-TV Fairbanks, AK airing Prima Princessa Nutcrakcer Friday, December 24, 2015 at 6:00 a.m. and 6:00 p.m.
KVCRDT Los Angeles airing Prima Princessa Nutcracker on Thursday, December 24, 2015 at 8:30 a.m.
WKSM San Francisco airing Prima Princessa Nutcracker on Friday, December 25, 2015 at 8:00 a.m.
KPTS Central Kansas airing Prima Princessa Nutcracker Thursday, December 24 2015 at 4:30 p.m.
WKARHD airing PRIMA PRINCESSA PRESENTS SLEEPING BEAUTY #0H Thursday, November 26, 2015 at 8:30 a.m.
WKARHD airing PRIMA PRINCESSA PRESENTS THE NUTCRACKER #0H Thursday, November 26, 2015 at 9:30 a.m.
KSMQ Austin airing Prima Princessa Nutcracker on December 20, 2015 at 2pm. airing Prima Princessa Nutcracker Christmas Day Friday, December 25, 2015 at 7:30 a.m.
airing Prima Princessa Nutcracker Saturday, December 12, 2015 at 8:00 p.m. 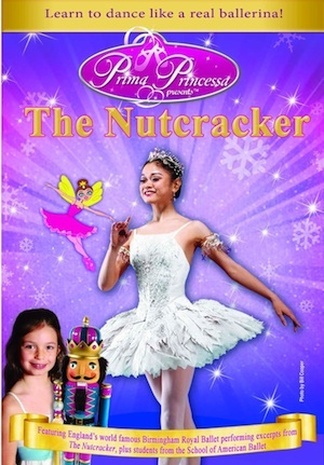 Airing Prima Priincessa Nutcracker December 23, 2015 at 1:00 p.m.
WPBS-DT Watertown airing Prima Princessa Nutcracker Sunday, December 20, 2015 at noon. 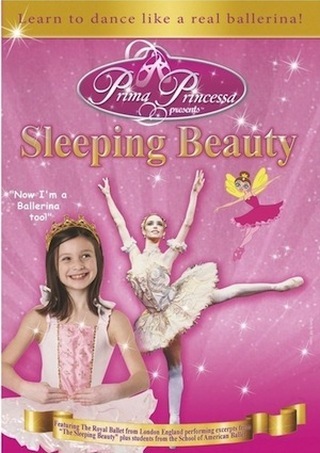 WPBS-DT Watertown airing Prima Princessa Sleeping Beauty Sunday, December 27, 2015 at noon. OETA OKLA (KIDS Channel only) airing Prima Princessa Nutcracker Christmas Day 2015 at 6:00 a.m. and 10:30 a.m.
South Dakota Network airing Prima Princessa Nutcracker on Thursday, December 24, 2015 at 4:30 p.m.
WKNO Memphis airing Prima Princessa Nutcracker on December 12 at 6 am in the Saturday morning kids’ block. KBYU Eleven Salt Lake City airing Prima Princessas’ Nutcracker on Thursday, December 24, 2015 at 6 p.m.
Wyoming PBS airing Prima Princessa Nutcracker Christmas Eve, Thursday December 24, 2015 at 2:30 p.m.
PRIMA PRINCESSA IS AIRING ON PUBLIC TELEVISION THIS HOLIDAY SEASON! Dance along and enjoy the fun with Prima Princessa on Public Television this Holiday 2015 Season! Be a Ballerina now! For kids ages 3-6 yrs! P﻿﻿rima Princessa's award winning kids shows feature world-class ballets narrated by an animated ballerina. Watch performances by London's Royal Ballet, the Paris Opera Ballet and England's Birmingham Royal Ballet. Practice dance steps with students from the School of American Ballet, official academy of New York City Ballet. Air Times Coming Soon!